Karren Kenney began practicing law in 1994. 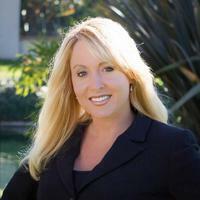 During her employment as a Deputy Public Defender, she became one of the most well respected and aggressive criminal defense attorneys in Orange County, where she gained invaluable experience representing indigent clients accused of crimes. Ms. Kenney continues to be dedicated to defending the personal freedom of her clients by utilizing her extensive experience and powerful credentials in both state and federal courts. She has tried over 60 criminal jury trials in state and federal court and has represented individuals from all types of backgrounds. Some of past clients include business executives, business owners, real estate professionals, lawyers, public safety employees, college students, and various others who have been arrested or are under investigation. Ms. Kenney appears in courts on a regular basis and has tried cases ranging from driving under the influence and other misdemeanor charges to the most serious felony matters including murder, gang related crimes, aggravated assault, theft crimes, internet crimes and a variety of aggravated white collar crime offenses. When you hire Ms. Kenney, she will be the one providing all of your legal representation. Your case will not be handed to a junior attorney with no experience. You will be provided legal representation during all phases of the criminal process - investigation, pre-trial, trial or plea and sentencing. When you hire her, you can be assured that you will receive compassion and full understanding of the anguish and stress that a person charged with a crime experiences. Being charged with a crime or investigated for a crime is a traumatic experience - not only for the individual charged, but for his or her family as well. You will be guided through the criminal case process. Answers to all your questions will be provided to you with the highest quality and aggressive representation as she has for hundreds of her former clients. Ms. Kenny is qualified to handle any type of criminal case, any state or federal prosecutor, and every complex situation that you may be up against. She is available to help you no matter what you are facing. Unfortunately, the criminal justice system does not care about the individuals who are accused of committing crimes. That is why you need a compassionate and aggressive criminal attorney representing your best interests through the process. The quicker you call an attorney, the more details you will be able to recall and a better defense can be created. You have the opportunity to have an experienced, diligent, and proven defense attorney on your side. Call Ms Kenney today at (855) 505-5588 to schedule a free one hour consultation. Criminal defense attorney Karren Kenney handles cases throughout Southern California including: Orange County, Newport Beach, San Diego, Santa Ana, Irvine, Costa Mesa, Huntington Beach and more.